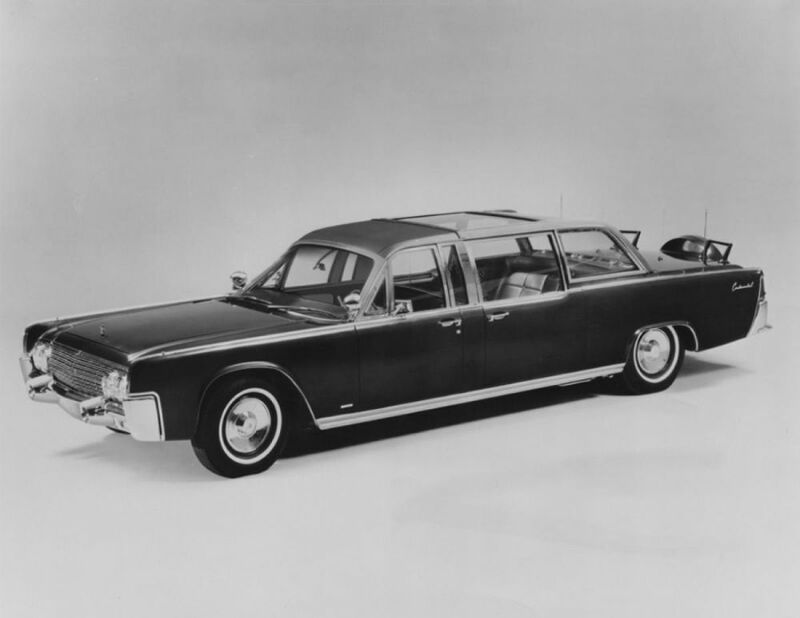 No other vehicle is as seared into the memory of a nation as the Lincoln limousine President John F. Kennedy rode in during his assassination on November 22, 1963, in Dallas. In 1961, a short time into Kennedy’s presidency, the White House leased a specially-modified Lincoln Convertible built by the Ford Motor Company. 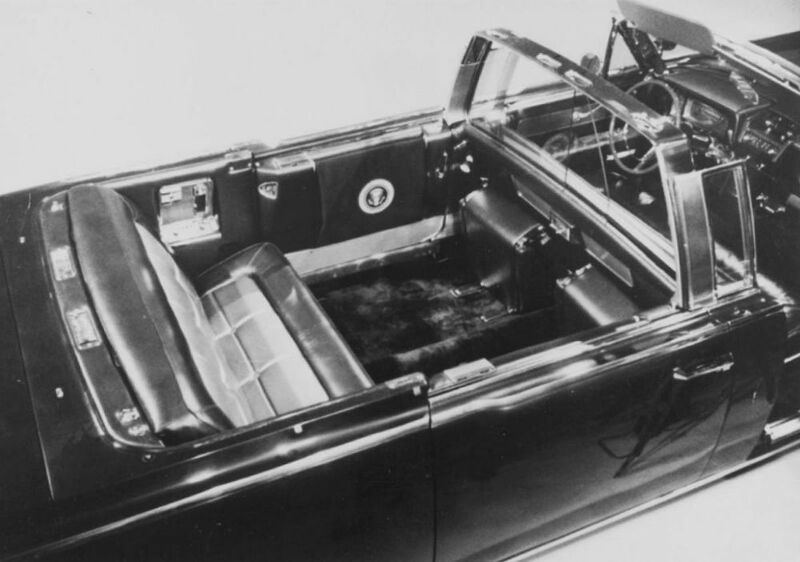 The vehicle — codenamed the SS-100-X by the US Secret Service — came with added extras such as telephones, a retractable roof, flashing lights, standing platforms for security agents and — questionably, in hindsight — a hydraulic lift that raised the president’s seat so that he could be more easily seen. It was by far the most expensive and sophisticated car built for a president but, impressive as it was, the SS-100-X did not have the armor plating and bulletproof glass that would soon become standard for presidential limousines. 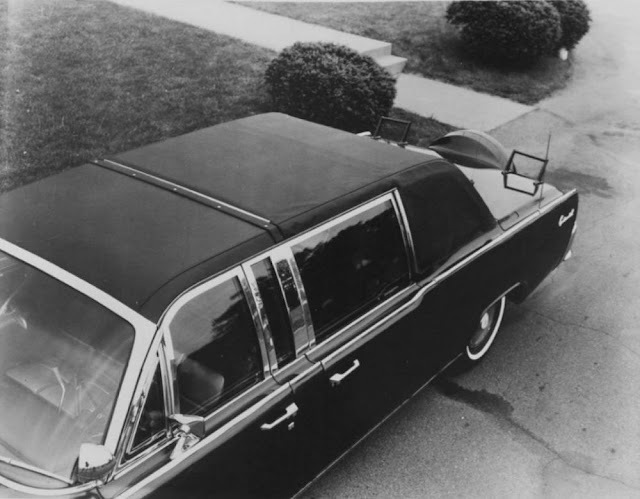 The Kennedy limousine is one of the most famous vehicles in history, with countless documentaries, films and books devoted to what happened to its most famous passenger in 1963. 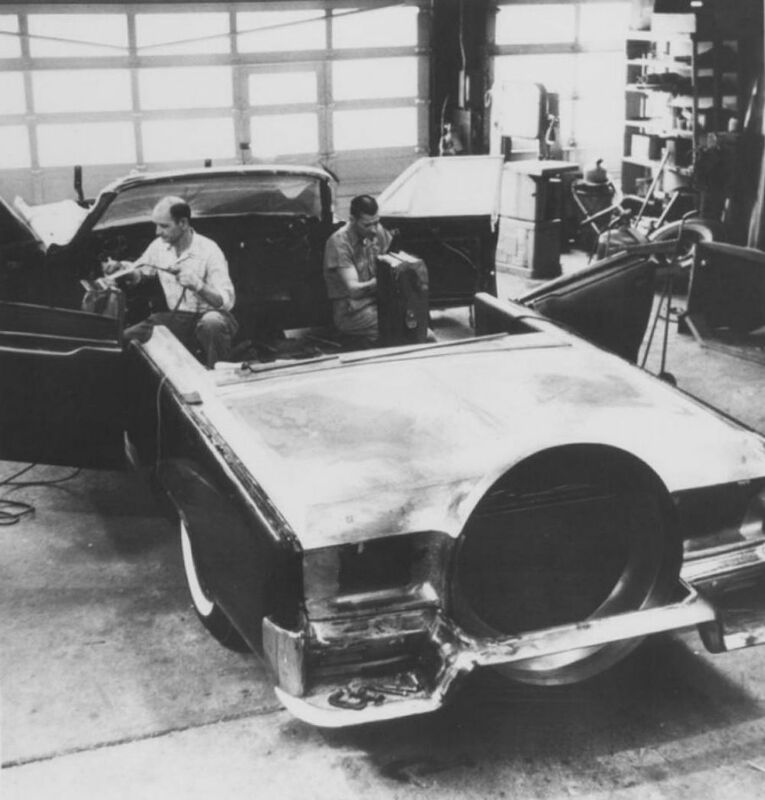 Photos and vision of the limousine on that day have been examined, dissected, discussed and disputed for decades, but many people do not know what happened to the vehicle in the years that followed. “A lot of people assume it was destroyed, or locked away in some warehouse never to be seen again,” said Matt Anderson, transport curator at the Henry Ford Museum. After the assassination, and still covered in blood, the SS-100-X was flown from Dallas back to Washington DC, where it was stored in the White House garage and searched for evidence by the FBI. Lyndon B Johnson was sworn in as president and one of the biggest criminal investigations in history began. It would have been well down his list of priorities given the recent events, but the new president found himself without an official limousine — certainly without one that met appropriate security standards given the events in Dallas. 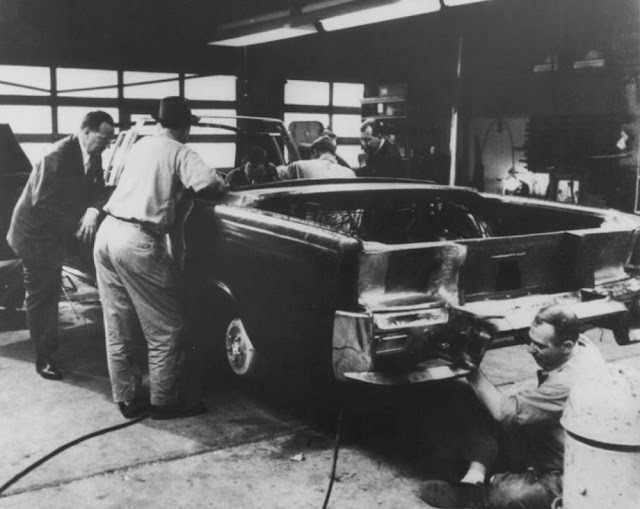 “It was a simple matter of expediency — the president needed a parade car, and it was much faster to rebuild the existing car than to build something from scratch,” explained Anderson. So, the decision was made to refit the SS-100-X. This was considered the quickest and most cost-effective solution, earning it the nickname The Quick Fix. The vehicle was sent to the Hess & Eisenhardt company, which specialized in making armored vehicles, and was stripped back to its bare bones before being modified. Titanium plating was added to the body, along with a bulletproof roof and windows, and flat-proof tyres. It was also fitted with an air-filtration system to protect against chemical attack. 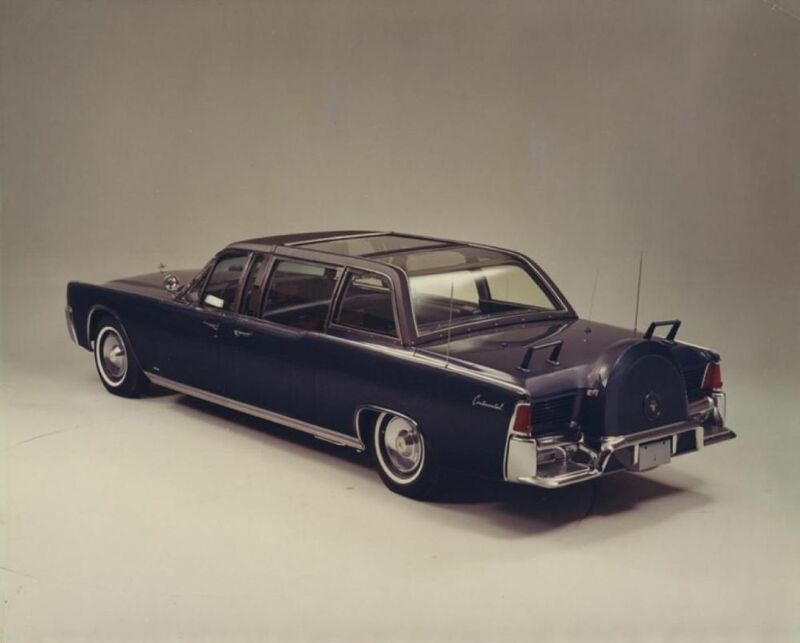 However, Lyndon B. Johnson must have had at least some qualms about the vehicle because he had it painted black, not wanting anyone to recognize his presidential limo as being “that” presidential limo. 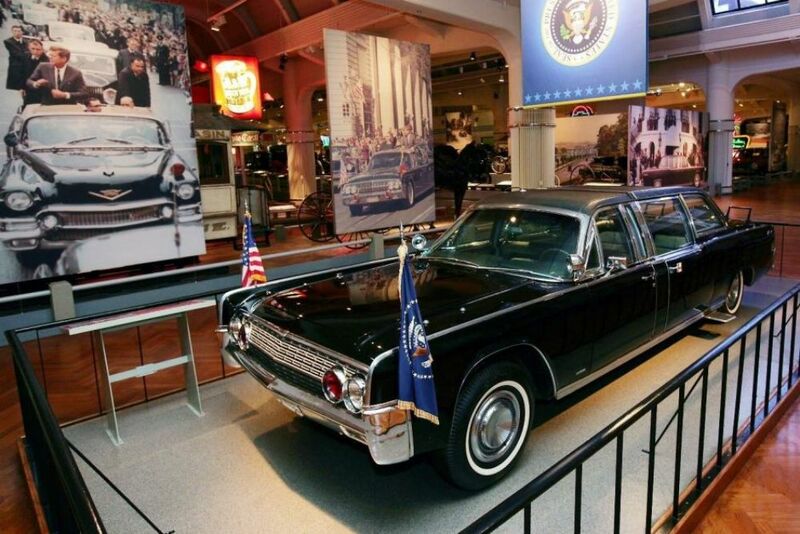 After a repaint, the limousine was returned to the White House in May, 1964, six months after JFK’s assassination. President Johnson was said to have been extremely uncomfortable about riding in the infamous limousine, for obvious reasons, but used it as his official car until 1968. The SS-100-X clocked up tens of thousands of kilometers on the road in the service of the White House, and even more air miles on many overseas trips. But, even when Johnson commissioned a new limousine, which came into service in 1968, that was not the end of road for the iconic car. The vehicle stayed in service at the White House until the late 1970s and — although no longer the main presidential limousine — was occasionally used by presidents Richard Nixon, Gerald Ford and Jimmy Carter. “People are surprised to learn that it was rebuilt and used for another 14 years following the Kennedy assassination,” Anderson said. After the White House stopped leasing the SS-100-X in 1978, it was returned to the Ford Motor Company and now sits in the Henry Ford Museum in Dearborn, Michigan. 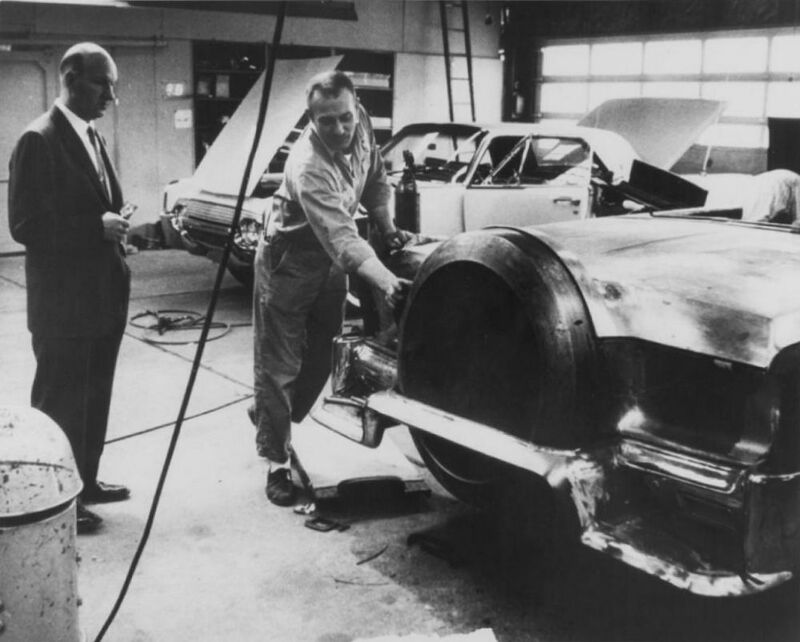 Customization of the John F. Kennedy presidential limousine was performed by the Hess & Eisenhardt Company of Cincinnati, Ohio. The car was stretched by 3.5 feet, steps were added for Secret Service agents, and a siren and lights were added to the limo. Transformation of the limo took about six months. It was delivered to the White House in June 1961, six months into Kennedy’s term. 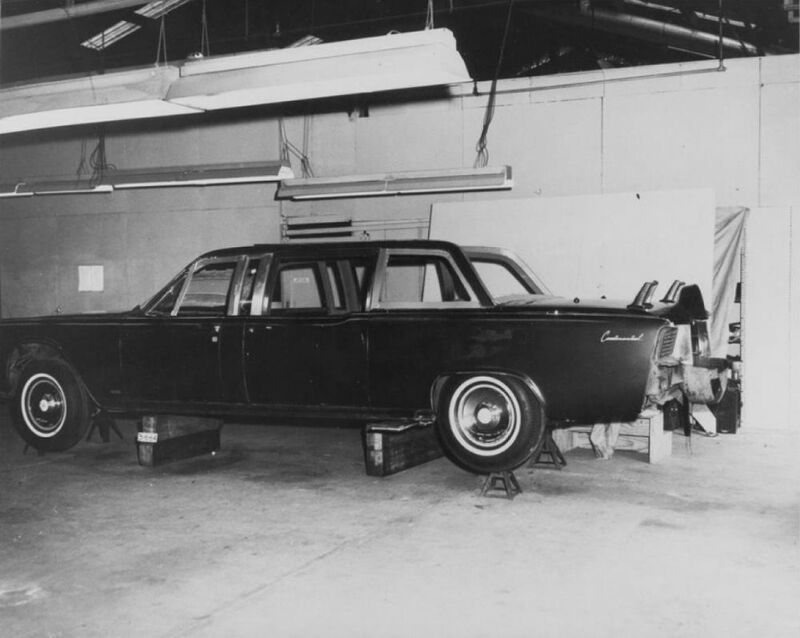 Another part of the JFK limo’s customization effort included a hydraulic rear seat that raised the president up nearly a foot for better visibility. Ford Motor Company collaborated on the car’s customization and retained ownership of the car after the transformation was complete. The automaker leased the car back to the Secret Service for just $500 per year. 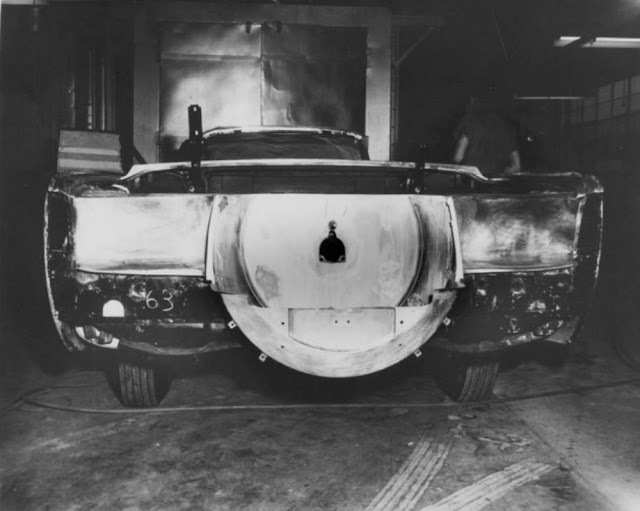 The Lincoln Continental was stripped down to its bare bones for the customization process. Two of the many features added to the Continental, steps on the rear bumper for Secret Service agents, turned out to be incredibly useful. An agent climbed onto the back of the car, grabbing onto the trunk, to protect the First Lady after the president was shot in Dallas. The 1961 customization project was the only time this car was worked on during Kennedy’s term. 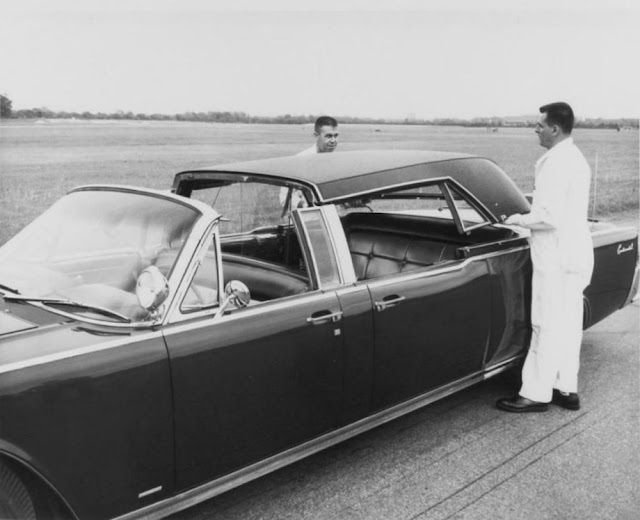 In 1963, the car’s grille was swapped out for one from the 1962 Continental while “sombrero”-style wheel covers were added to the limo. 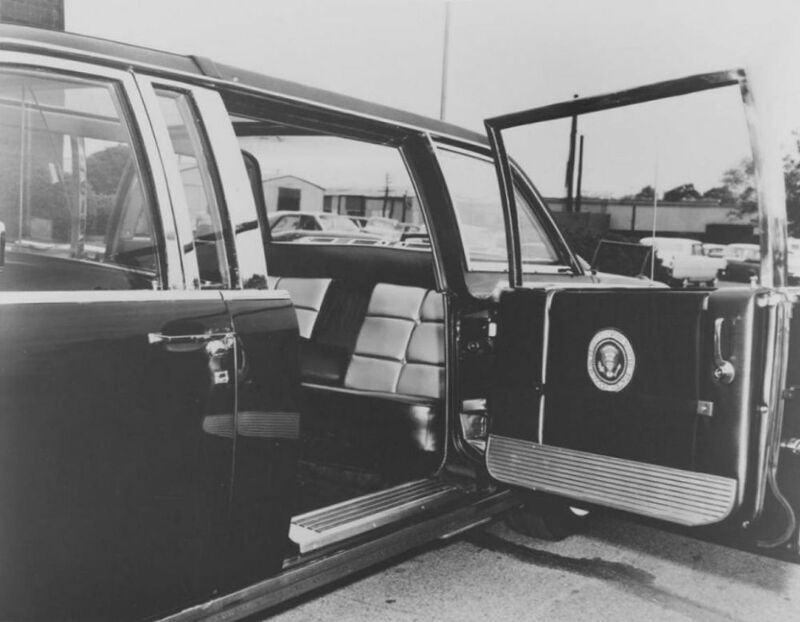 Inside, the Presidential Seal is visible on the door, as well as the two jumper seats that were added to the rear cabin. 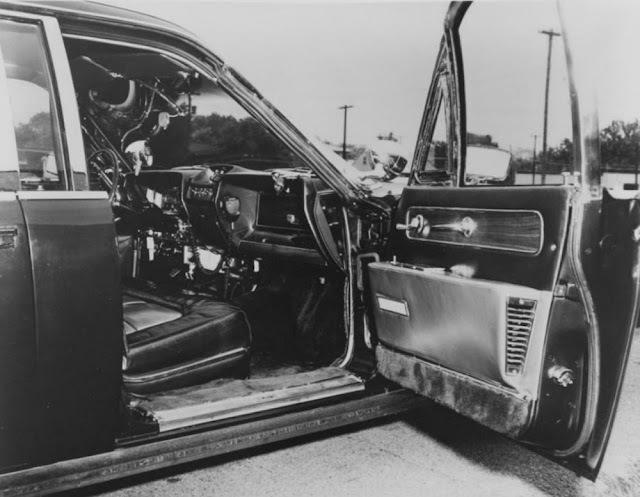 At the time of the assassination, Governor Connally was riding in one of these seats and was critically injured in the gunfire. As originally built, the 1961 Lincoln Continental Presidential Limousine had three different roof options. A removable steel section provided privacy, clear plastic sections provided weather protection, and a completely open top gave the president maximum visibility. The plastic panels fit neatly into the trunk and were available whenever needed. None of the removable tops was armored. 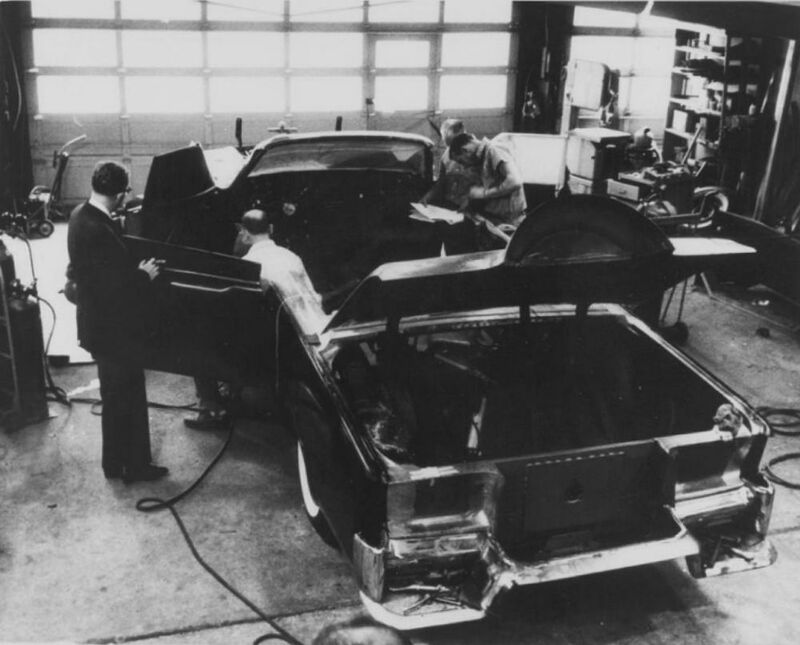 Workers swap out the rear section of the limousine's roof for an enclosed section. 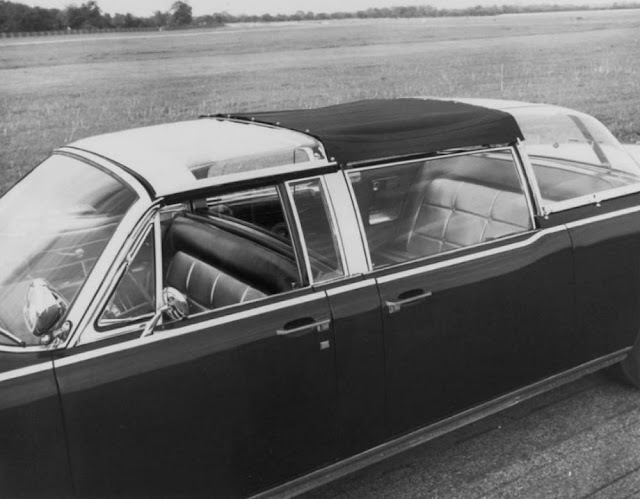 This canvas sunshade with transparent top sections were just one combination for the limousine. It’s tough to imagine the president riding around with such limited protection today. The shop crew of the Hess & Eisenhardt Company poses with the completed limousine before it was shipped to the White House for then President John F. Kennedy to use. 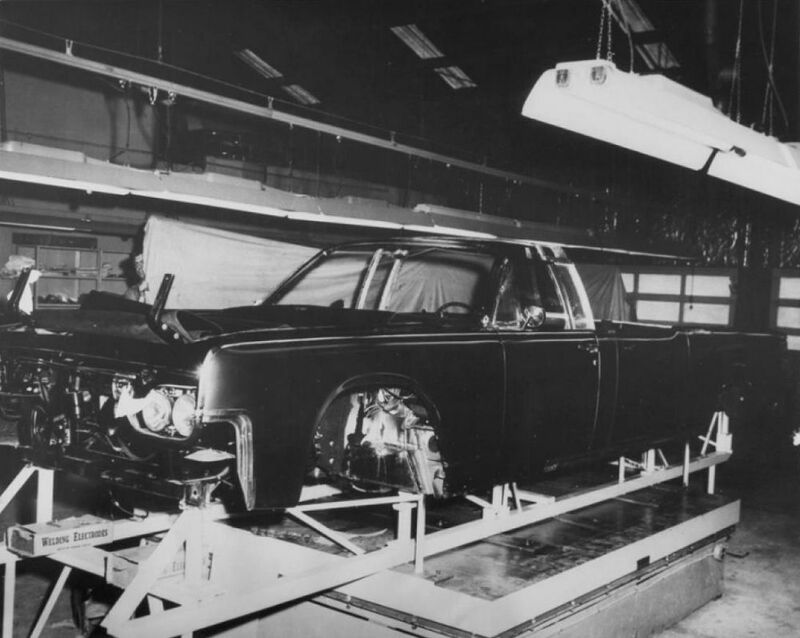 After President Kennedy’s assassination on November 22, 1963, the limousine was impounded for evidence. 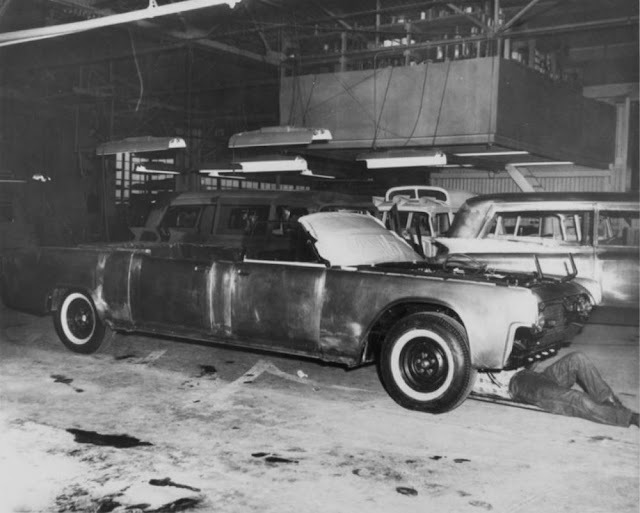 The White House approved a plan by December of 1963 to renovate the car for continued service, after which it was returned to the Hess & Eisenhardt Company for work. 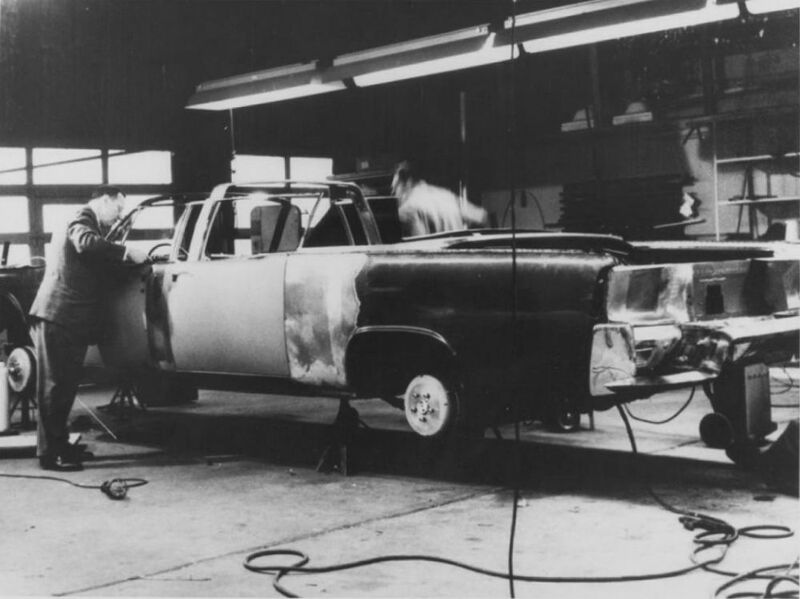 Known as the “Quick Fix,” the renovations were completed by May 1, 1964 and extensive testing took place. Estimates place the overall cost to have been around $500,000, with it shared by Ford, some Ford Suppliers, and the government. Seen here in the shop, the presidential limousine not only underwent a structural overhaul, but also received a new engine that delivered about 17 percent more power. 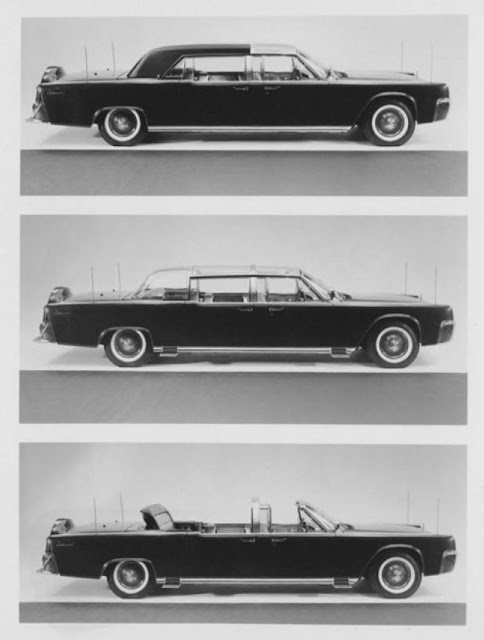 Replacing the innovative removable rooftops, the “Quick Fix” added a permanent, non-removable top to the limousine. This allowed the car to use transparent armor to protect the president. The rebuild of the Kennedy limousine after the assassination took less than five months, adding bullet-resistant windows to the presidential ride. The rear passenger compartment also got some upgrades, including extensive armoring and reupholstery to fix damage from the assassination. Today, the limousine is housed at the Henry Ford Museum in Dearborn, Michigan.